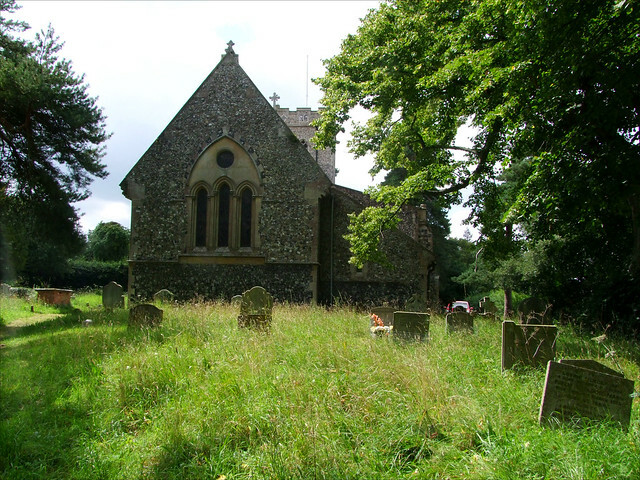 Sibton is one of those Suffolk villages which barely exists. Along the busy Yoxford to Stowmarket road, the farmhouses and cottages cluster rather more closely together for a moment. The grand, Italianate splendour of Sibton Hall is straight out of Jane Austen, there are ruins of a Cistercian Abbey off in the fields, and a brief flash of a church through the trees above the road. In a car, you might easily miss it. This would be a pity, for St Peter is a fascinating church, with one of the loveliest 18th century memorials in the county. It also once had a spire like neighbours Yoxford and Middleton, but this one came down about 200 years ago, and was never replaced. Instead, the stately 15th century tower stands tall above its contemporary north aisle. This presents us with a bit of a puzzle, for the north doorway into this aisle is clearly Norman. Perhaps it was moved northwards when the aisle was built, or, more excitingly, perhaps it was taken from the suppressed Abbey across the way. This is more likely than it seems, for the interior arcade also predates the aisle, and almost certainly came from the Abbey. If it seems odd that an arcade should be moved half a mile and rebuilt, remember the paucity of building stone in Suffolk. When I first came this way twelve years ago, the church was kept locked and was used no more than a few times each year. It wasn't even a parish church. I had a long conversation with the churchwarden at the time, who told me it was a chapel of ease to St Michael, Peasenhall, in the Parish of Peasenhall with Sibton. He'd said that he was interested in restoring its parish status, which seemed a pipe dream. He told me there was some support for this, but there was opposition too, because of the responsibility required from what would be such a small parish for the upkeep of the building. Shortly afterwards, Raymond Catchpole of the Friends of St Peter contacted me to tell me of their great efforts to raise £50,000 over the last four years. Much of this was earmarked to repair the north aisle roof; but there were also plans to reorder the building, in an attempt to extend its use to a wider community beyond the parish. A further £45,000-odd was at that time under offer from English Heritage, and Mr Catchpole, noting my observation that I'd found the church locked, said wistfully that a day might come when this church was more easily visitable. Twelve years have passed, and great things have happened. St Peter has been thoroughly restored, and is regularly in use for exhibitions, concerts and the like as well as regular services. Best of all, it has regained its parish status. This is down to the tremendous hard work of a small group of people, and they should be thoroughly congratualted. You enter through either the south or north doorways, although if you come through the south porch you will see a sign saying that Banns may be published and marriages solemnised in this chapel, a reminder of the building's former status. You step into a wide, open nave. The Victorians moved the font into the north west corner, between two gorgeous windows that fill this area with white light. The font stem has a couple of Suffolk's finest woodwoses, cousins to the more famous spandrel-dweller at neighbouring Peasenhall. There are a couple of good brasses the best of which is at the east end of the nave to Edmund and Margaret Chapman in 1574. It is a palimpsest - that is to say, a single brass made up of other brasses that have been previously used for other purposes. Their children line up behind them, boys to the left, girls to the right. In the chancel is a more famous brass to Edmund and Maryon Chapman of 1626. Unfortunately, it is trapped under the choir stalls. But the best thing in this church is the early 18th century wall monument to Sir Edmund and Lady Mary Barker. He was Lord of the Manor, and Mortlock thinks them accurate life portraits. They died in the 1690s, and they sit in bust form beneath their achievement of arms. What makes it so lovely, though, is that their two infants recline on the ledge below them. One, rather sadly, is wrapped in a shroud, and the other leans on a skull and holds a rattle. The iconography shows that they predeceased their parents. Either side of the chancel arch are pairs of gorgeous niches, as at Risby, formerly home to images, and serving altars beside them. They still retain their original colouring, red to the south and green to the north. There are some good modern memorials, one showing the transition from Art Nouveau to Art Deco, and another a delicious wedding cake piece of 1950s Georgian. This is a lovely old church, and full of character. I stood outside in the pine trees of the ancient churchyard, the cars hurtling past below on the busy road. It was hard to imagine this place before the ravages of the Reformation overtook it, but the village sign across the road was a reminder of past glories. Thanks to the tremendous efforts of the Friends, the PCC and the parishioners, Sibton has once again become a familiar stopping-off point.